Life is so full of decisions, some big and some small. Well, this one isn’t that big of a deal but hey, I need to put something on this blog of mine (and it also serves as a great distraction from studying for the exam I have tomorrow). So, basically, my laptop has been without a battery for quite sometime now and while it serves me well, it is somewhat impractical to take with me on my travels. Essentially, I’m thinking of retiring it as a desktop and buying a new laptop to accompany it. The problem, therein, lies in my choice. For a long time now, I have had my eye on getting a Mac. However, $$$ is small problem. Anyway, let me lay out my three choices with it’s pros and cons. Item #1: MacBook. I must say, the latest MacBook has been a rather impressive feat. The base specifications are more than sufficient for my requirements, though it is slightly disappointing that Apple decided to downgrade the CPU. However, it still comes in at 2.0kg. Item #2: MacBook Air. By far, this is the most expensive of the lot. The downside to the MacBook Air is the cost, however, the cost reflects the technology and development that has gone into the MacBook Air easily with the claim that it is the thinnest laptop around, weighing approximately 1.3kg. 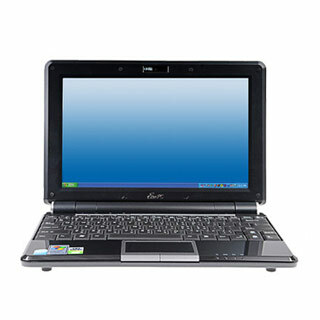 Item #3: Asus EeePC 1000H. This little baby comes with a 10″ screen compared with the 13″ screens of the MacBook and the Air. This is also the cheapest option with over $1000 difference with the MacBook. It also has the longest battery life, claimed to be last 7 hours against the 3~4 hours of the MacBooks. The only real downside is that it runs Windows XP. After the comparison of the three, it would seem that there’s a bias towards the EeePC, honestly, which is based solely on its screen size and battery life. Anyway, this was more a procrastination exercise more than anything else. Cheers!